Just three months ago, before the presidential election which put leftwing President Obrador in power, the entire police force (all 27 of them) of the town of Ocampo was arrested on suspicion of involvement in the murder of a mayoral candidate (see our related coverage). Ocampo is a relatively small town of some 25,000 and therefore the news didn’t make much of a dent in the crime-ridden reporting which the Mexican journals speak of daily. Related coverage: <a href="https://www.lavanguardia.com/internacional/20180926/452042055965/acapulco-mexico-policia-municipal.html"> Mexico - All 28 Police Officers Of Town Arrested Over Politician’s Murder (Video)</a>. However, yesterday, a similar act took place in Acapulco, one of the major coastal cities with a population of nearly 800,000. 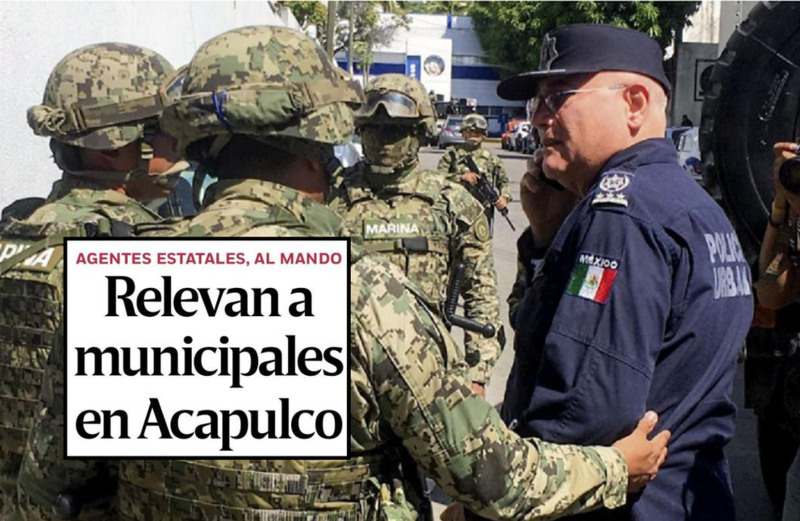 In the morning, the army swept into the city and arrested the entire Acapulco police force over alleged drug gang infiltration. State security officials in Guerrero said the action was needed "because of suspicion that the force had probably been infiltrated by criminal groups" and "the complete inaction of the municipal police in fighting the crime wave." Their statement noted that the Acapulco police officers "were stripped of their guns, radios and bullet-proof vests and taken for background checks. Law enforcement duties in the seaside city of 800,000 will be taken over by soldiers, marines and state police." All police officers in Acapulco will now be put under investigation and evaluated, their finances and bank records checked, Guerrero state security officials said. The Mexican interior ministry claimed it would take over policing indefinitely. The homicide rate in the city stands at a whopping 103 per 100,000 inhabitants, one the highest rates in the world. President-elect Mr. Obrador has not yet reacted.